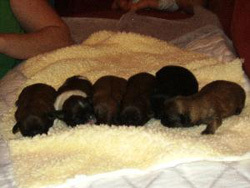 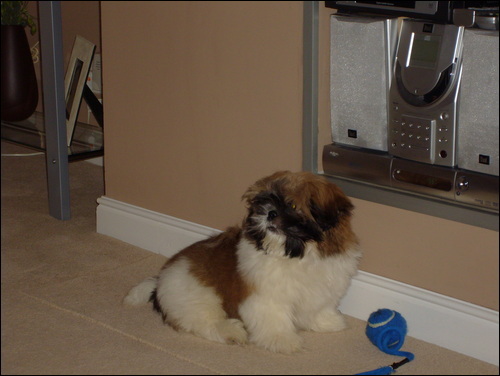 Pictures of Shih Tzu. Feel free to contact us and send Shih Tzu photos. Include a little info with each pic you send, such as dogs name, age, colour and coat type where relevant. 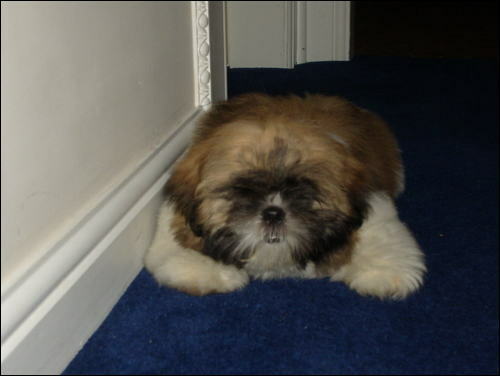 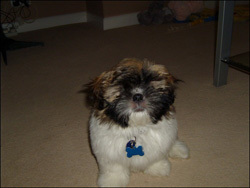 My Shih tzu is called Kenzi, his kennel club name is emperial prince. 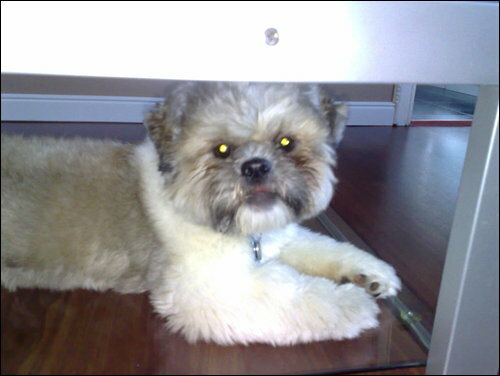 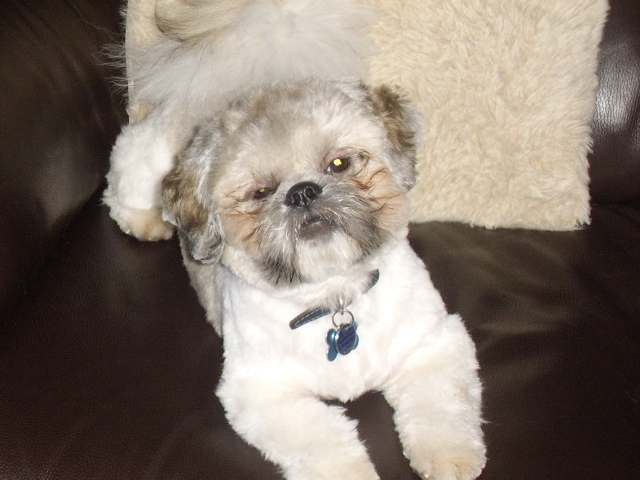 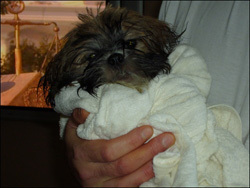 He is a male shih tzu, his dob is 29/9/06, he is now 1 yr and 2 months old, he is full pedigree. his mothers name is lulu kc - little calamity and his fathers name is simba kc- tanglewebb majestic simba. his coat is soft, his colourings are; white, brown, with a black mask and tipped ears, he has a white crest on his forehead, and a white tipped tail. kenzi has a good temperament, with a big personality of his own, he can be demanding at times but in a playful way. 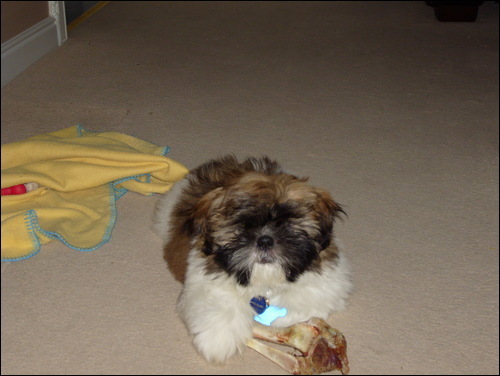 he is not aggressive in anyway. he is also a fussy little eater, especially when its in a dog bowl he prefers a plate, and he loves his water!